REAL-TIME. REAL SAVINGS. REAL RESULTS. Unlike other relief agencies, there are NO FEES to post a shift – even when booked at the last minute. We also allow you to set your own hourly rates. Once your shift is posted, pharmacists receive an instant notification on their smartphones allowing them to accept shifts, without delay. At the end of each shift, pharmacists are rated from 1 to 5 stars to ensure you get access to the most reliable pharmacists on the market. Get instant notifications on your smartphone once a pharmacist accepts your shift. You’ll be able to see their name, licence, rating, and photo. Post shifts within seconds! No more phone calls or emails back and forth with expensive relief agencies. 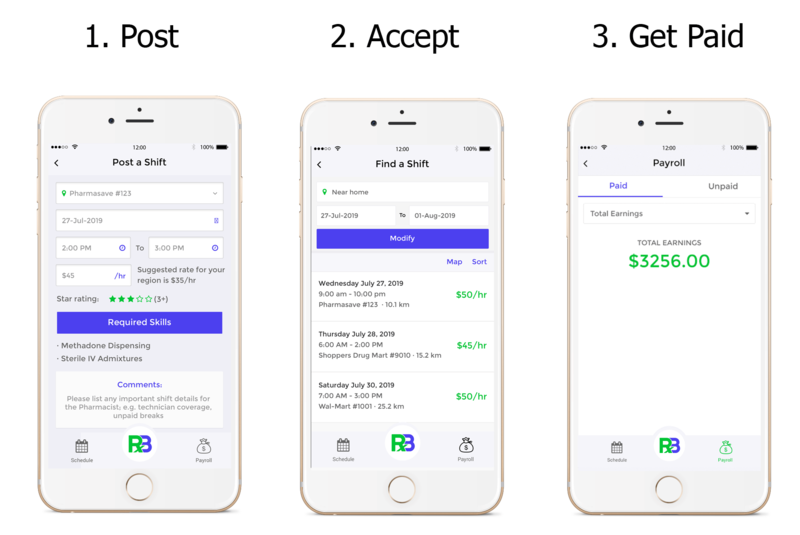 You’ll receive payment information directly through our app so you can keep track of all completed shifts and track financials. Never miss a day of work! Whether you work relief shifts or multiple jobs, you can choose to receive reminders before your shifts. We can keep you on track! Our app is smart – it won’t bug you unless you want it to. Get custom alerts for shifts that meet your preferences for location, skills, and hourly rates. We keep you current with pharmacy news, regulatory changes, best practices, treatment guidelines, latest research and case studies – all through our app. Be your own boss – choose when and where you want to work and take control of your hourly rates. Relief Buddy puts you in control of your career. We’re getting ready for success. Are you? 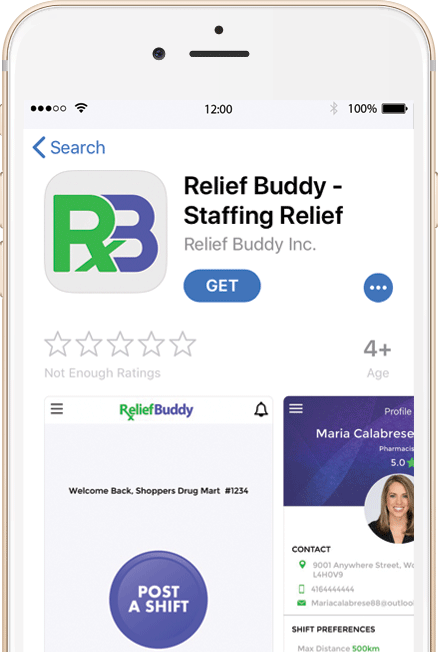 Download the Relief Buddy Staffing Solution app, today.